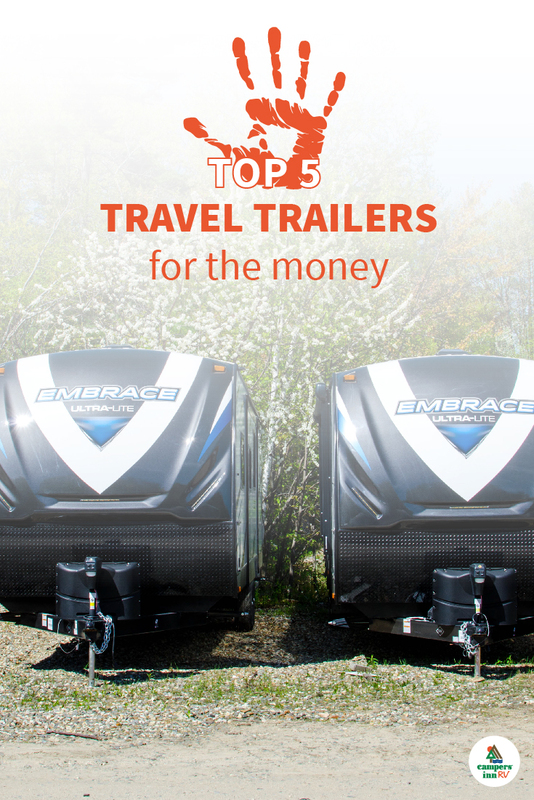 Travel trailers are the most popular RVs on the market. Shoppers can choose from a huge selection of makes, models and floorplans for every budget. To help you narrow down your options, we’ve selected our favorite travel trailers at five different price points. 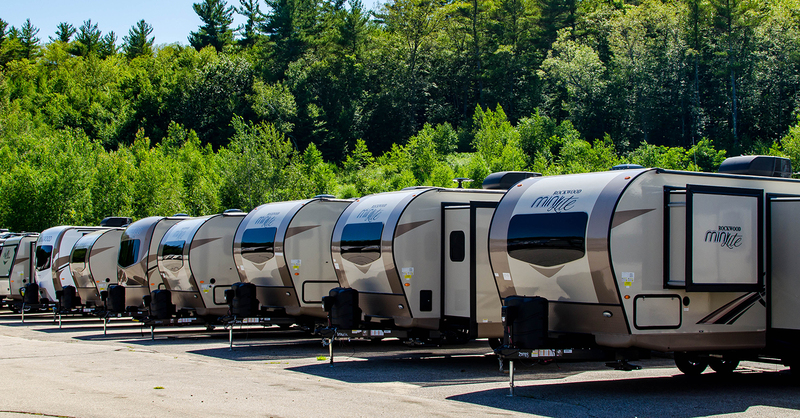 These are just the tip of the iceberg, so make sure you browse our full inventory online to find the perfect RV for your lifestyle. 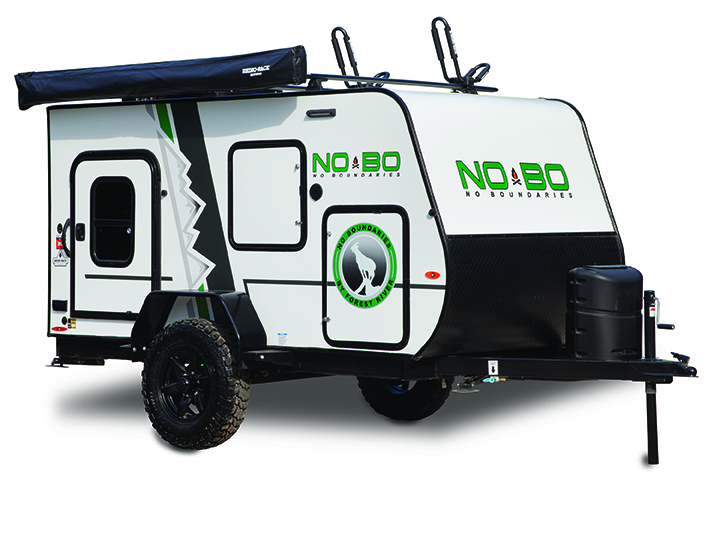 The Forest River No Boundaries line is a rugged travel trailer built for outdoor enthusiasts. The large, high ground-clearance tires let you explore off the beaten path, and the optional roof racks let you bring your favorite toys with you. The 10.6 model is compact and lightweight, and it can be towed by a large SUV or a small truck. It features a minimalist floorplan, including a lounger/bed, outdoor kitchen and plenty of storage space. It is the perfect travel trailer for those who want to enjoy the outdoors with as little fuss as possible. 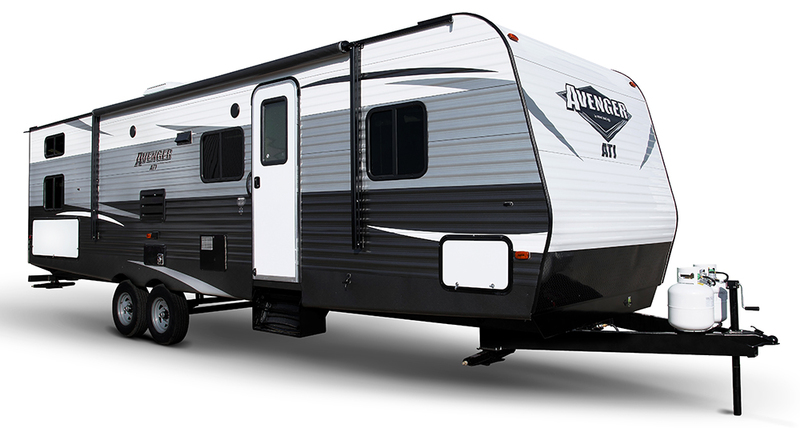 The Prime Time Avenger ATI is an affordable, entry-level travel trailer that makes outdoor adventure accessible for RVers of all ages. They are built with a durable EVERLAST Construction package, and they are outfitted with comfortable interior appointments. 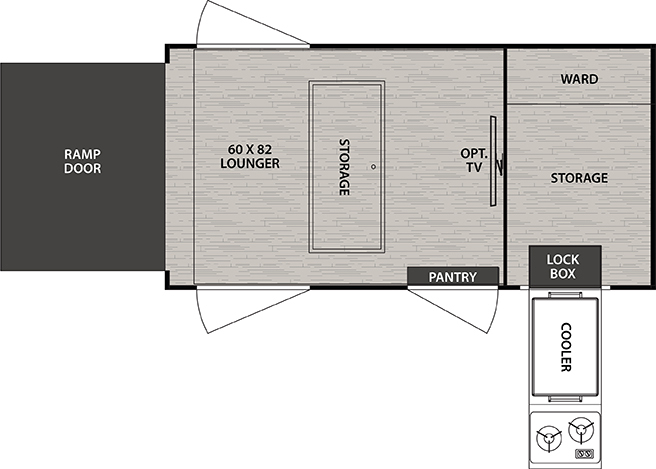 The 20RD model features a full kitchen and full bathroom, along with a queen bed and U-shaped dinette. Outside, you will find an LED power awning along with an outdoor shower to rinse off before heading inside. 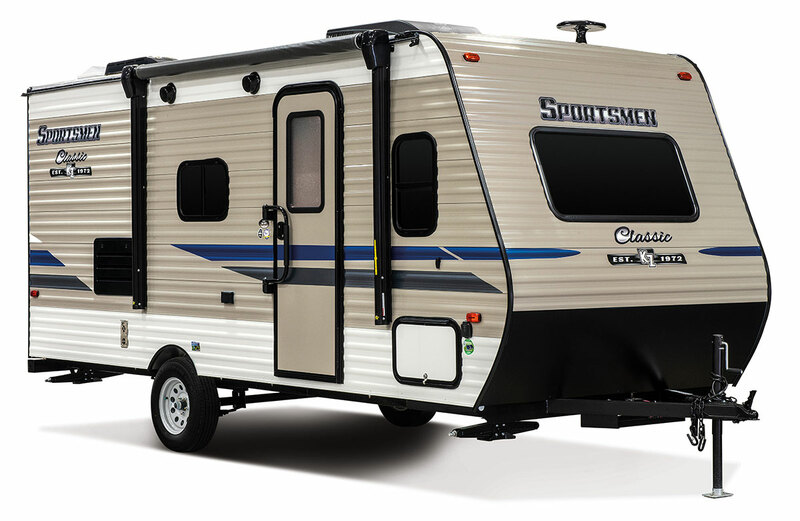 The KZ Sportsmen Classic is an ultra-light travel trailer that packs everything you’ll need for camping into a compact, easy-to-tow package. The exterior is built with KZ’s exclusive Tough-Shield metal and Alum-A-Tough roofing for enhanced durability. 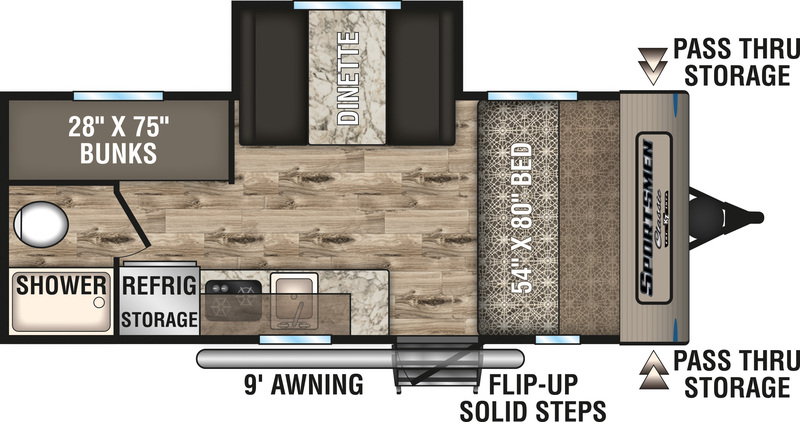 The 181 BH model is a great choice for young families as it features a 54” x 80” main bed along with a rear bunkhouse. The dinette slide opens up the living area, and the pass-through storage lets you pack all your favorite gear for your trips. 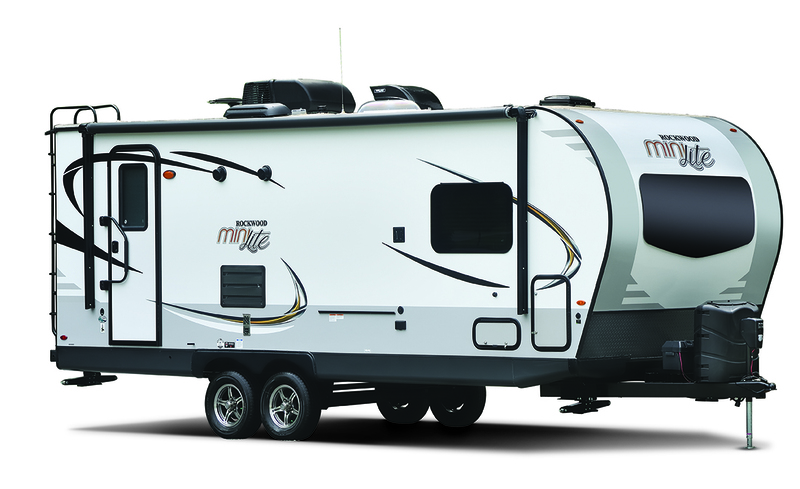 The Rockwood Mini Lite is a feature-rich, mid-sized travel trailer from one of the top manufacturers in the industry. These classically-designed trailers come with a standard Slatewood interior complemented by hardwood cabinet doors and drawer fronts. The 2511S model is perfect for couples how love to camp. It features a private bedroom with a slide-out wardrobe and a 60x74 bed. The living area includes a slide-out dinette with a full kitchen, entertainment center and a spacious rear bathroom. 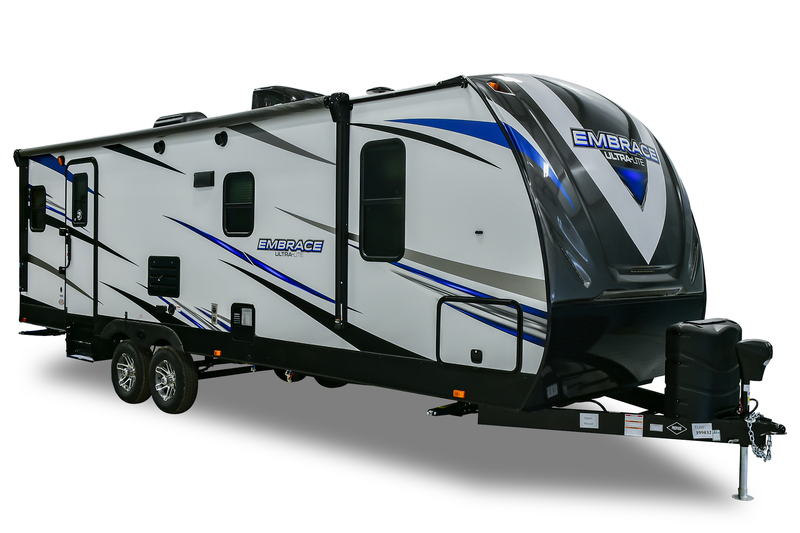 The Cruiser Embrace has become a favorite choice for RVers because of its reliability, high-quality build and gorgeous interior. All models feature standard king beds, enclosed and heated underbellies, painted front caps and solid-surface countertops. The EL 275 is a spacious model which includes double rear bunks, rear bathroom and a sofa/dinette slide-out. You’ll love cooking with the outdoor kitchen on warm summer nights. It also offers a GoPower solar prep package for RVers who want to camp off-the-grid. 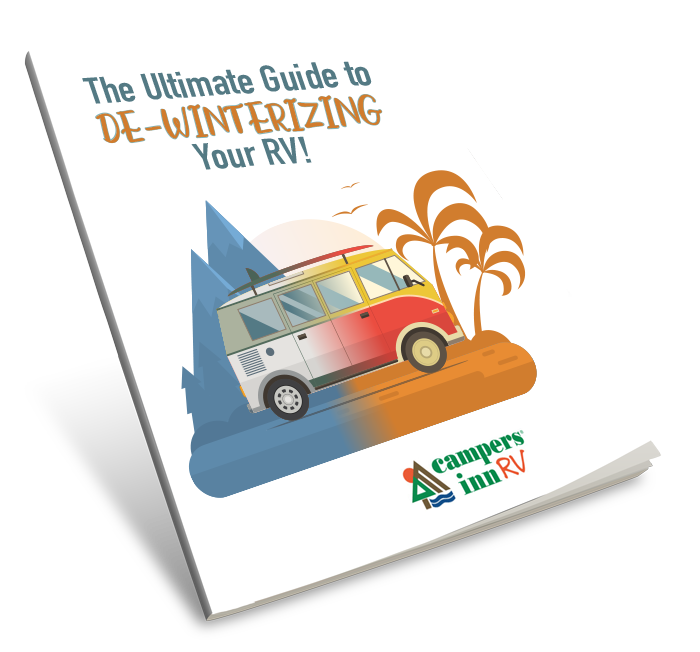 Not finding the right RV? 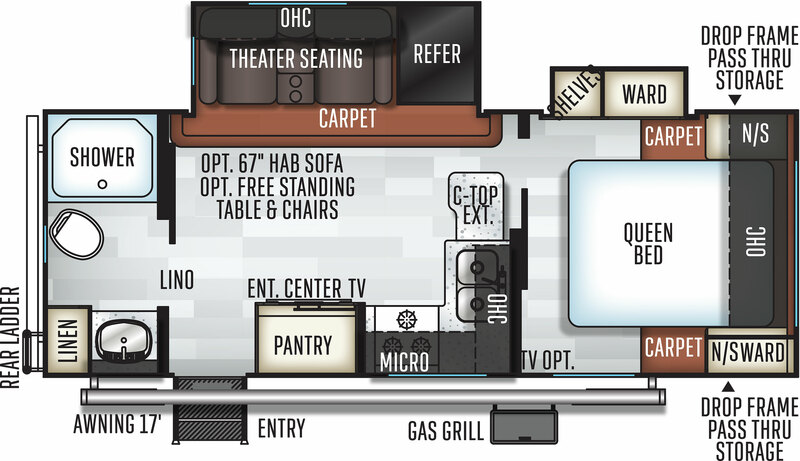 Download our free Travel Trailer Floorplan Guide to find more options!